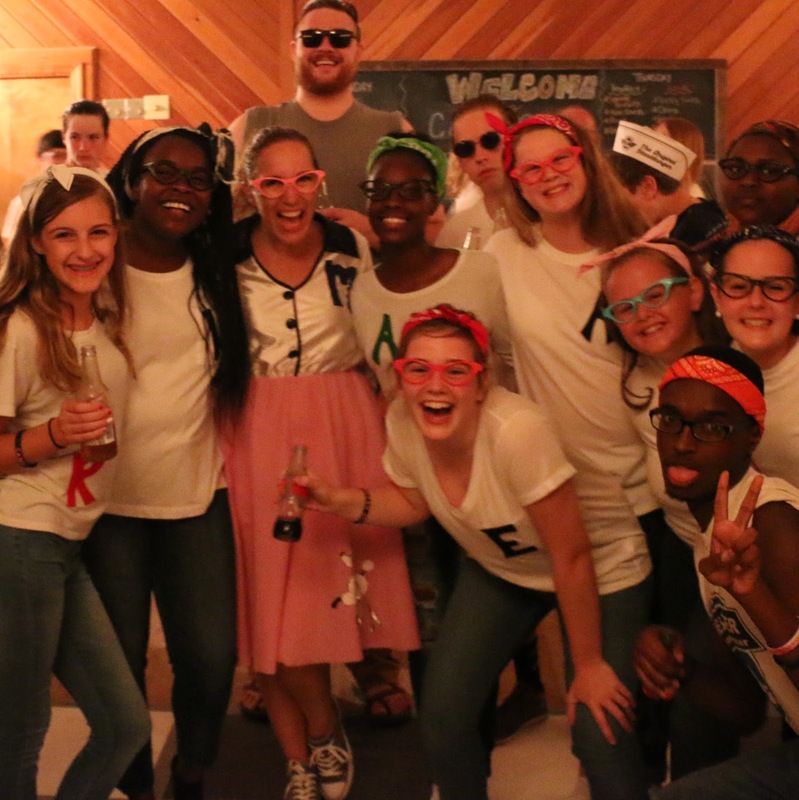 We recently hosted an epic dance party that began with a 50's style sock hop followed by a "dance through the decades." Below are some helpful details, along with a mp3 of the music that you can download if you want to pull off a similar event. Could be a great way to kick off the new semester in August or September! Kids wore white tshirts and jeans. We had hair gel for the guys. My incredible mom cut out dozens of felt letters with stick on backs so each gal could have her first initial to stick on her shirt. We got dozens of SteakNShake hats donated for anyone who wanted to wear them. 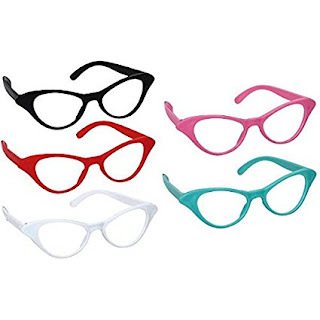 We also ordered these 50's glasses on Amazon for about $1/pair, but they were a hit! 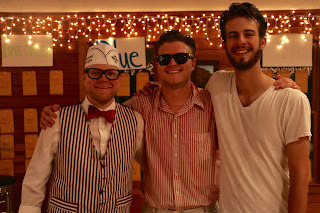 I borrowed a red striped vest from a friend in a barbershop quartet. To start off the event we dressed as soda jerks and served bottled Cokes and ice cream sundaes as kids arrived. We got the bottle sodas from Costco and they required a bottle opener, so that meant the soda jerks were able to interact with each kid and open their drink. We got Coke, Sprite, Root Beer, Cream Soda, and Coke Life. We had lots of ice cream that we served and kids could put their own toppings on top. We ordered 100 pink, black, and white balloons on Amazon for $15. 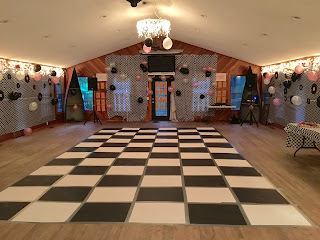 We also bought 50 pieces of black posterboard and 50 white and duct taped them to the floor to make a massive checkerboard dance floor. For the walls we used checkboard plastic table cloth rolls, that are $25 on Amazon and one was enough to cover all the walls pictured here. Download the 56 min mp3 here. The first 14 mins of music on the track are snippets of 50's dance music to play as kids come in, get their cokes, ice cream and pics taken. At the 21 min mark, tell everyone, "I'm tired of these oldies, let's dance through the decades!" At the 47 min mark, wrap it up and there's 7 more mins of "exit music" to play after the dance ends. You could use that music for a bathroom break before announcements, a couple content songs and a talk. Special thanks to Justin McWilliams for editing the playlist! The playlist was the single key to making it feel like such a fun party!